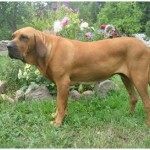 This is one of the famous dogs in the large breeding group and is known for it’s hard working nature all over the world. Its excellent tracking abilities mixed with aggressiveness temperament made this a perfect guard dog. 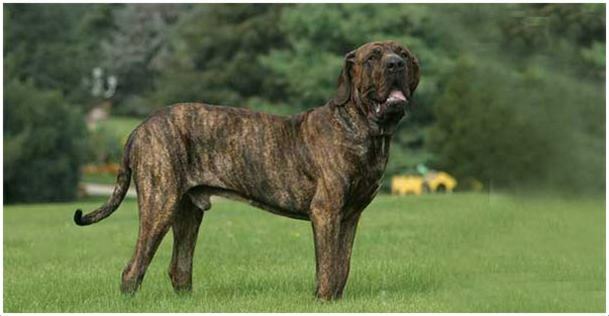 It is a crossbreed between mastiff and bloodhound but no authenticated proofs are available to support this. 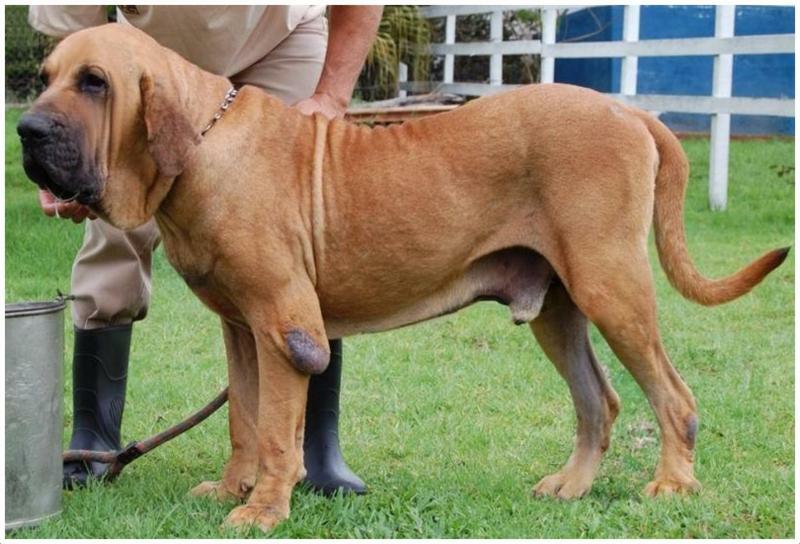 Ancient records about this breed are not available but as per ancient breeders, this breed is available from mid 18th century and used by the Brazil farmers to protect their crops from rats, rabbits and other small animals. When slave trade is illegal in Brazil, this breed is used to return slaves safely to owners. 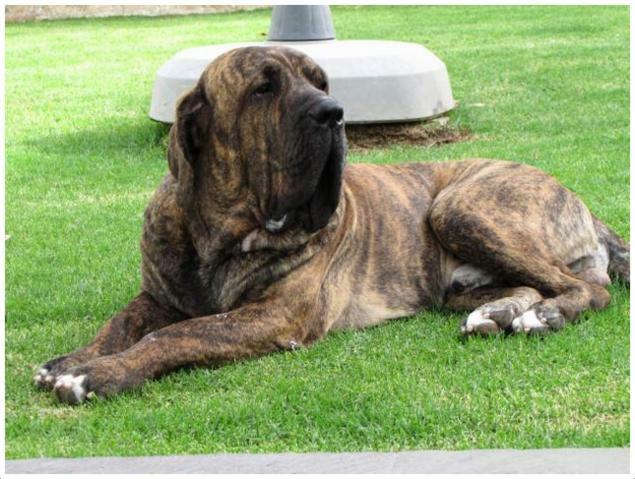 The general health of this breed is good and similar to all other large breeds this breeds also prone to Hip Dysplasia and Elbow Dysplasia. They are prone to gastric and other digestive problems also. Fewer exercises may raise so many problems including obesity. This dog is very intelligent unlike all other hunting dogs it won’thunt animals but keeps them at bay so that the owner will have a look at it.It is easily adaptable to all the climatic conditions but needs spacious living environment. It can become very aggressive if it is confined to indoor activities all the time. 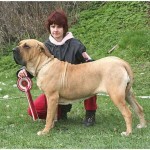 FilaBrasileirois good at doing exercises and needs extra workoutswhen compared to other breeds. This is one of the prominent breeds who love to do workouts. One hour of walking per day or forty five minutes of slow jogging per day can meet the exercise needs of this breed. One must follow this otherwise there are chances that your dog may suffer from obesity problems. This dog is easy to train and it will do all the jobs with 100% dedication and you will surely spell boundwith the results you usually get. 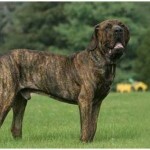 This breed meets all your requirements and is perfect for guarding and hunting jobs. It is not that much suitable for dog agility and other competitions. This breed is very loyal to its owner or breeder andits gives its 100% while protecting its master.It can become a nightmare for strangers and unknown persons as it is ferocious. Its naturally protective nature is extremely suitable for people who are living alone. 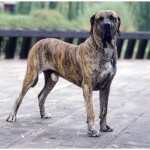 The appearance of this dog is similar to mastiff but slightly smaller in size. 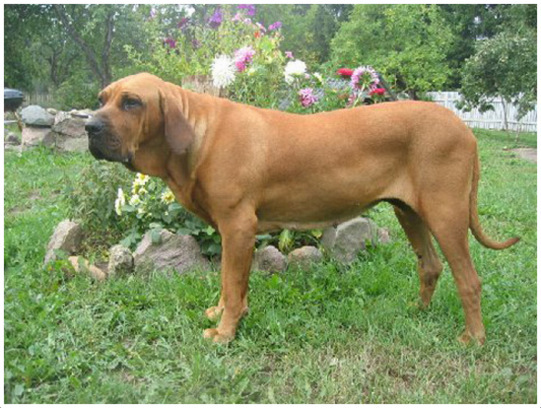 The heavy muscle combined with strong bony structure resulted in unique look and it is hard to observesimilar look in any other breeds. 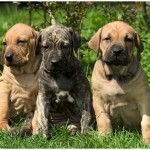 This breed has significant difference between male and female dogs. 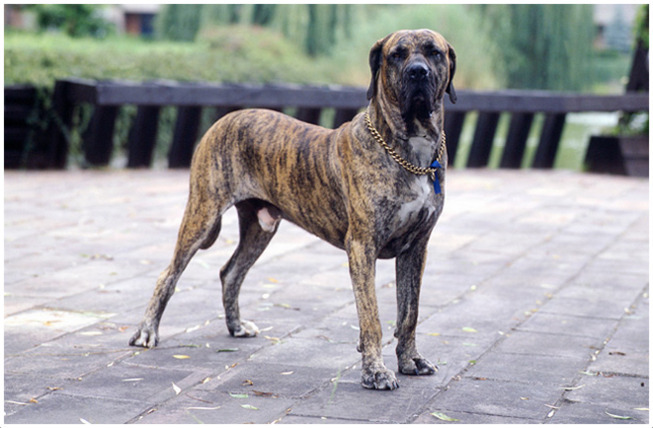 Male dogs usually reach 65-75cms and weigh in between 63-81kgs. 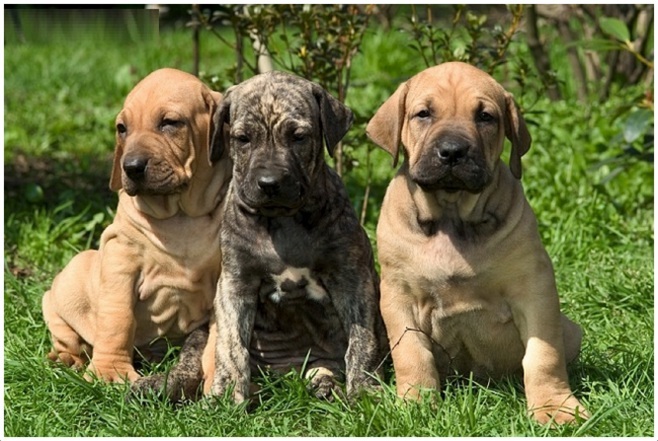 Female dogs which are a bit smaller usually weigh between 56-74kgs and can grow in the range of 60-70cms. The coat of this breed is short and smooth. The coat of this breed is unique and white markings on it look very attractive. You need not spend heaving fees forparlorsas the coat of this smooth and short. Periodiccleaningis necessary and combing is not really needed daily. Brushing once in a week is recommended. Its heavy body looks awesomely beautifuland massive. They appear in rectangular shape with big head and muscle. Ears are large and folded where as eyes are sharp and dark. Legs are heavily boned andchest is deep and broad. Socialization period is very crucial and your behavior during this period will influence heavily on the overall behavior of this dog. It is naturally protective and will do anything to protect its owner. This is not suitable for apartments and large farms with fences are ideal places to keep them. In some countries, it is illegal to own this dogwithout proper permission from the court. While training one must give emphasis on not attacking the strangers and a professional training is needed to correctly utilize this dog. This breed is not recommended for families whichhave small kids and/or children. Lack of socialization at young age will makethis dog anti social. 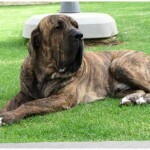 You need to have constant income to breed this dog as the maintenance cost is very high for this breed. If you are from U.K., Malta or Cyprus then you need to get permission from legal and other departments to breed this dog. It is a restricted and prohibited breed in some areas. In areas like NewZealand and Tobago, they are considered as dangerous dogs and they can’t be imported and the male dogs should be neutered. 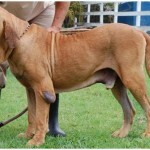 The spike used in the McDonald’s is of Fila Brasileiro breed only. One need to be very careful while handling these dogs. They are usually calm and gentle and when they become aggressive it is very hard to control them.Its behavior can become problematic in some cases and always keep an eye on your pet. To feed this dog one must have certain idea about dogs and their feeding. As this is a large dog one must give three to three and half cups of food daily and always keep an eye on its body proportions to control obesity. It likes non-vegetarianfoods and milk is liked in some occasions.It is better to serve food in three times than dumping all the food once. 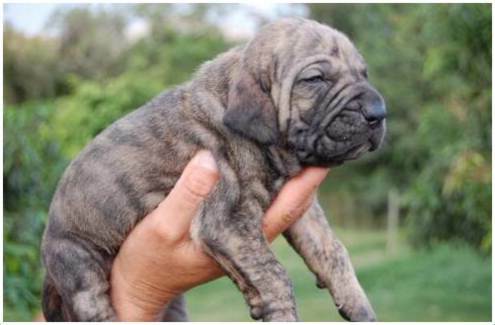 The full name of this dog is Fila Brasileiro. 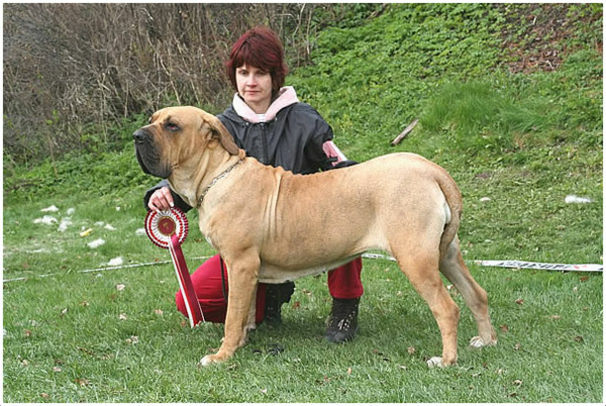 It is also called as Fila, Brazilian Mastiff in some region. The native place of this breed is Brazil. It is of large size type. It has a life span of 9-11 years. It belongs to utility breeding category as per NZKC standards. This dog is adaptable, aggressive and bold. The height statistics varies from 65cms to 75cms in case of male. Female dog’sheight statistics varies between 60-70cms. The average weight varies between 56kgs to 87kgs. 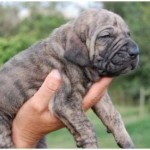 It is available in Black, Red and Brindle colors. One needs to pay $1000-1500 to get the puppy of this breed.